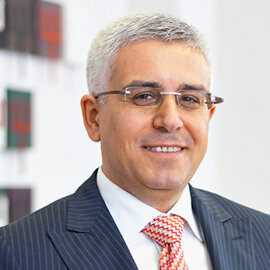 Born in 1969, in Adana, İsmail Dernek graduated from Electronics Engineering Department of Hacettepe University and received his MBA degree from Bosphorus University . Dernek embarked on his career during his postgraduate studies in 1992. He worked for Koç Group and Siemens in various functions.İn 2009, he joined to Bozlu as an executive board member. İsmail dernek is married with one child.